Create an outdoor dining experience that people will love and remember with the fabulous Zaha Dining Chair. 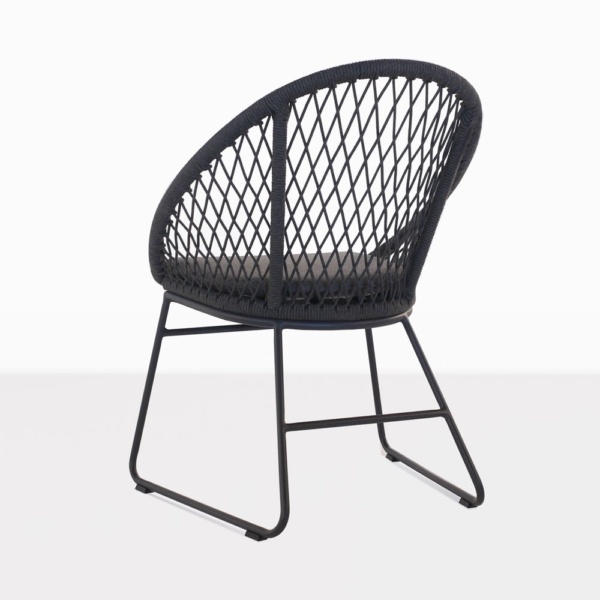 A stylish and versatile design, the Zaha Wicker Dining Chair carries the glamour of traditional wicker furniture with modern materials, and a sense of airiness that makes it both incredibly attractive and also able to join any style of space with ease! 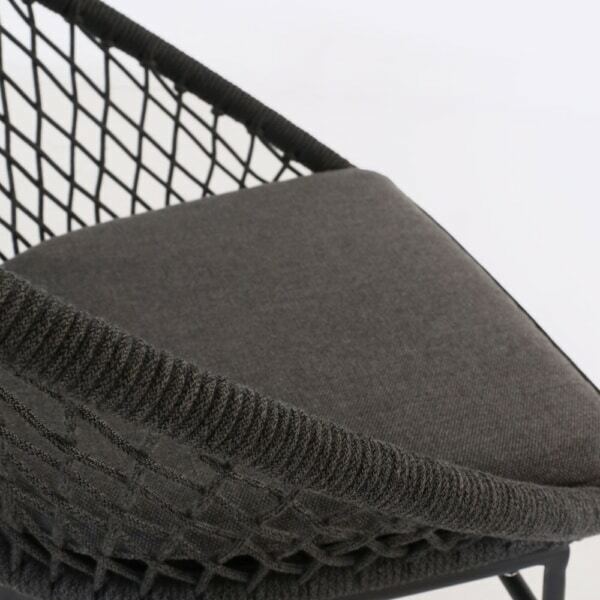 Rounded sleigh-like legs are complemented by a rounded wicker seat which, with elegant diamond patterning and soft Sunbrella® cushion, is a picture of comfort and prestige. W26" x D24.5" x H34"
The Zaha Outdoor Dining Chair is the perfect piece to integrate into a rustic banquet setting! Imagine a robust reclaimed teak table laden with beautiful fodder, and surrounded by these charming and glamorous Zaha Dining Chairs. Add several planters and enjoy as the character of your space presents itself as warm and inviting – It’s a scene unto itself! 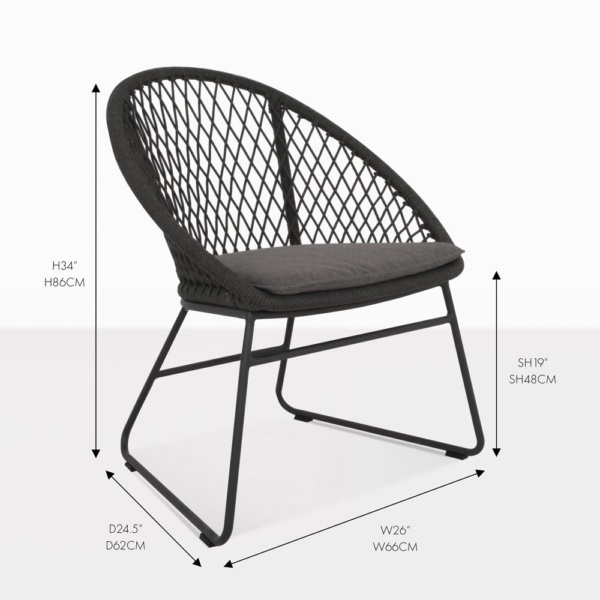 Perhaps your look is leaning to a more minimalistic approach – set up a concrete dining table on your patio with 8 of the Zaha Wicker Chairs around it for a sleek and chic set up you and your friends will adore! Be sure to purchase an outdoor umbrella for total comfort! 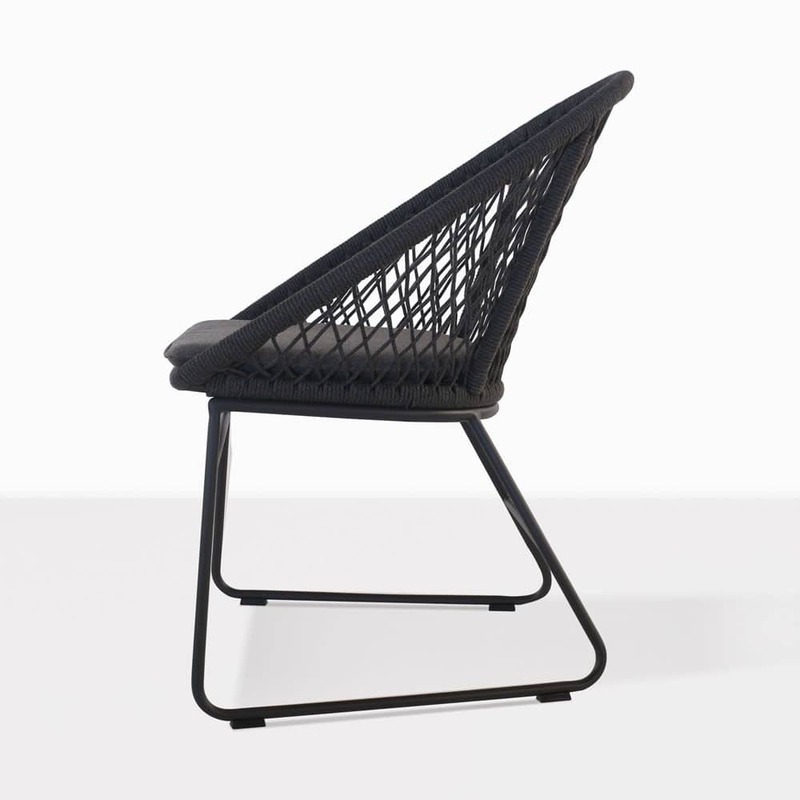 Our Zaha Dining Chair is made from excellent materials that bode well in outdoor settings. From the powder coated aluminum, which protects from rust and corrosion, to the heavy duty all weather wicker, the Zaha Chair is one that you will be proud to have in your setting year after year! If that weren’t all, we also provide a free Sunbrella® cushion to put the finishing touch on an extraordinary look, as well as keeping you in ultimate comfort! The Zaha Outdoor Wicker Dining Chair is a beautiful piece to add to your collection! Purchase a series of these and contemplate adding to your tranquil area with the matching Zaha Relaxing Chair so you are catering for all experiences in the great outdoors!